While a homeowner might opt for low maintenance plants that will still be around if they forget to water or take care of them, commercial property managers consider plants an investment, and the return on that investment is affected by the cost it takes to maintain it. Therefore, more and more property managers opting for low maintenance plant material, whether it’s turf, shrubs, or trees. These plant varieties are typically hardier and require fewer resources like water and fertilizer to thrive. Need some examples of Low maintenance plants? Tall Fescue, the turf type we use here at the Schill headquarters, is a great choice for lawn owners who want turf that will look green even in drought conditions (as opposed to other popular turf varieties like Kentucky Bluegrass, which goes dormant when it doesn’t get enough water). For clients looking for decorative, low maintenance perennials, we often recommend daylilies and ornamental grasses, which come in a plethora of shades and colors. While it may seem a bit backward, the truth is that landscapes that incorporate plants that are drought tolerant or just hardier in general will often have extra money in their budget to spend on annual plants that change with the seasons. That’s because perennials are a one time expense when cared for properly, so the larger the percentage of your landscape that is covered with them, the more money you can put toward annual flowers that require more resources. 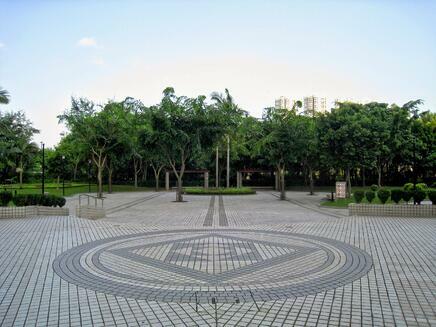 Want more landscape design tips for sustainable properties? Check out our comprehensive guide for property managers. As we mentioned above, many commercial property managers have begun to adopt plants that require less water. This is a great first step toward reducing your ecological footprint, but we also encourage our owners to consider changes to their landscape’s design and infrastructure, which can save energy as well. If designed properly, your landscape can help you cut heating and cooling costs for your building as well. In the summer, tall trees can provide shade, providing protection from the worst of the season’s heat. Here in Northeast Ohio, however, frigid winters are typically more of concern for property managers looking to keep costs down. For clients looking to upgrade their design or install something new, we suggest windbreaks. Windbreaks are a group of trees and shrubs that direct wind up and over your building. This way, your retail center, office building, or home can be spared the worst of winter’s chilling gusts. But in cooler regions like ours, it’s also important to allow sunlight to reach south-facing windows, as that’s where winter sun tends to shine brightest. This can save you money by reducing your heating costs. We’ve written a lot about lighting as a great way to make sure your property’s best features are highlighted twenty-four hours per day. But if you have lighting already installed that hasn’t been evaluated in a while, making some key changes could save you a lot of money in utility costs. Consider switching incandescent lightbulbs for LED or even solar options to get the same amount of illumination for a fraction of the price. If your landscape’s lighting was installed recently, then there’s a good chance you’re already using LED lights, or at least that your existing system can be retrofitted to accommodate them. But even if your entire system needs an upgrade to be truly energy efficient, you could recoup the costs of such a new install in a matter of years. 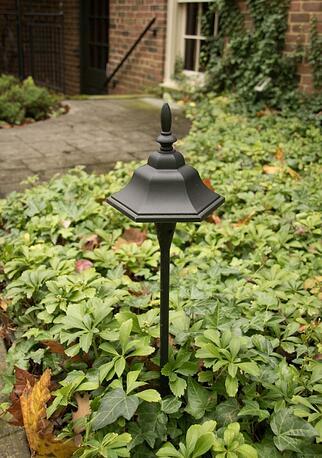 But lighting isn’t the only aspect of your landscape that needs to change as technology develops. If your property’s irrigation system is out of date, it could be costing you thousands of dollars each year. Make sure key features like rain sensors and timers are working correctly and are set properly. Here at Schill, we have our irrigation experts do comprehensive audits for our customers every 3-5 years to make sure everything is running smoothly. 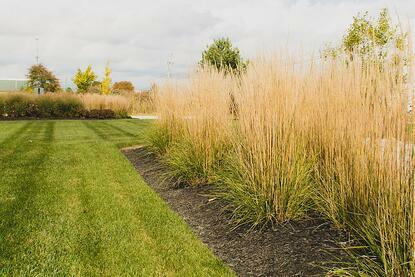 Landscapes aren’t just about looking pretty or saving energy. 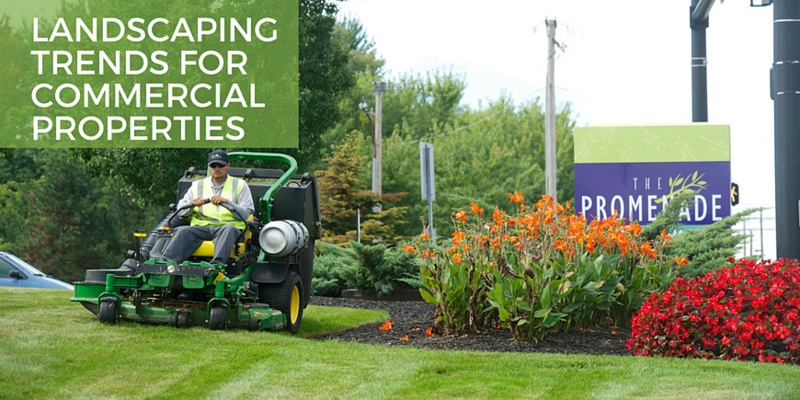 Many more commercial property managers are opting for landscaping features that provide great experiences for the customers, tenants, or employees that their properties serve. This means creating an immersive environment that people are happy to spend time with instead of just pass through. The simplest and most effective way to find out what landscaping features people would appreciate most is to ask them. Put out a poll on facebook or twitter, or send out a survey via email. Do you want more of your employees to spend time outside? 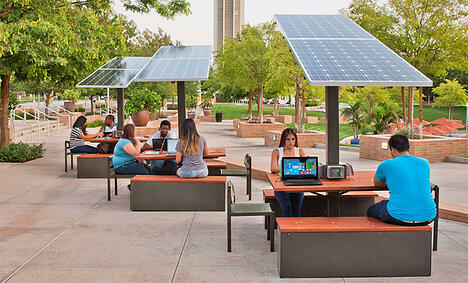 Consider creating an outdoor workspace that draws people outside. Make sure your landscape has attractive, comfortable, shaded spaces to keep passersby happy—and Wi-Fi access to keep them productive. Community gardens are also a great way to get your business or property involved with local charities. Consider working with local food banks and other philanthropic organizations to donate the harvest from your garden. 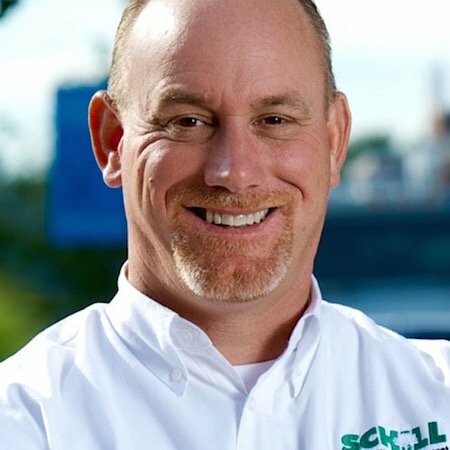 The Schill team has over 25 years of practice in helping property owners and managers in Cleveland and Northeast Ohio create memorable experiences with their landscapes. Contact us today if you’d like some advice on how to create a great outdoor space for your commercial property, or visit our landscaping guide to get great ideas for design in any season.